Rapid change is bringing unprecedented challenges straight to our cities. But they’re now being built to handle these challenges. Our cities are changing at a rapid rate due to forces such as climate change, demographic shifts and technologic advances. Urban resilience is helping our cities get better at innovating and adapting to the changing world. Chronic stresses are issues such as high unemployment and unaffordable housing, while acute shocks are sudden events such as earthquakes and floods. These stresses and shocks are having a huge impact on how we build our cities. Our cities’ infrastructure, from physical to digital, needs to not only fill a need today, but ensure our communities are prepared for whatever comes their way. Here are some examples of resilient innovations from cities around the globe. Byblos in Lebanon is a city split into two distinct areas — east and west, the “Old City” and the modernized Byblos. Leaders in Byblos write that “a fragmented city is not a resilient city,” and they are looking to use infrastructure to connect residents and curb sprawl. Through safe pedestrian pathways, an increase in cycling paths and the integration of car parking and public transportation, Byblos hopes to make their city more compact and connected. “We want to create a safer and more inclusive mobility network for our citizens and reduce urban sprawl by redirecting growth along planned corridors,” says the city’s resiliency strategy. On the other side of the globe, Atlanta is facing a similar challenge with sprawl. The city is tackling mobility and development in creative ways. An old railway corridor that ran through the core of Atlanta is currently undergoing a transformation into a multi-use recreational trail and streetcar loop known as the BeltLine. 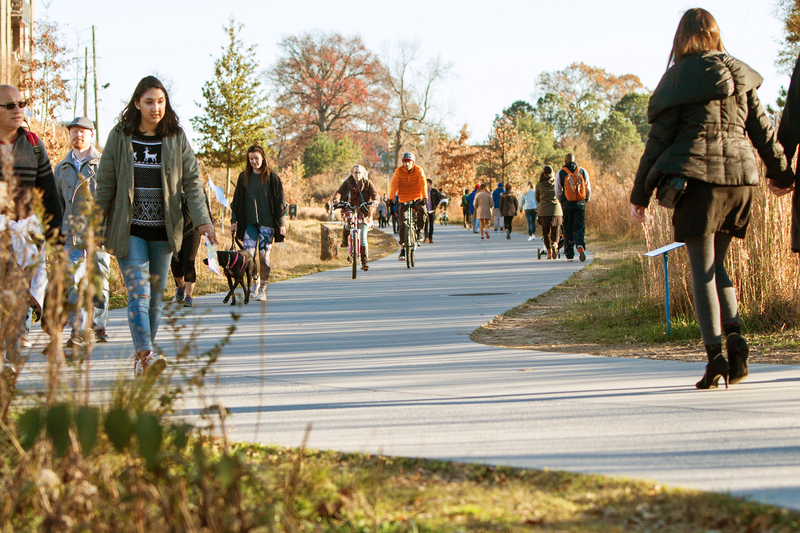 “As a major new planned transportation corridor for both pedestrians and transit riders, the Atlanta BeltLine provides critical first and last mile connectivity with direct connections into downtown and midtown,” reads the website. Not only has the BeltLine expanded the active transportation options in downtown Atlanta, but it has also kick-started urban growth and intensification in underused areas of the city. Rising waters are threatening many cities with flooding. Vejle, Denmark is one of them. By 2100, it’s predicted that low-lying residential and business areas in the city will be underwater. Vejle has identified Fjordbyen, a new waterfront neighbourhood, as a testing site for flood management. Part of the plans for this new neighbourhood is to use the channeling of stormwater for recreation purposes, creating thriving everyday public spaces to enhance livability. 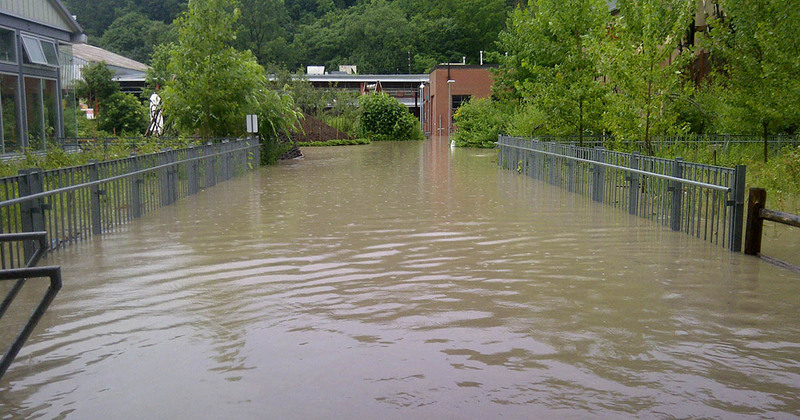 At Evergreen Brick Works, we’ve developed the site to mitigate floods, but also be prepared for when flooding happens. Built on a flood plain means flooding is inevitable. We’ve built the site using innovative design choices such as permeable concrete and unique raised flooring to allow flood waters to pass through. Similar to Vejle, we hope Evergreen Brick Works serves as a demonstration for how to build resilient infrastructure in Toronto and across Canada. Resiliency in cities also comes down to their social fabric. Leaders are attempting to curb social isolation in Paris by converting public school grounds into public spaces. In 2008, city leaders in Santa Fe, Argentina converted an unused railway station into a Fair, Exhibition and Conference Centre. Now the city is evaluating how to activate the building’s surrounding area. “This initiative aims to integrate this large area into the city’s urban grid by developing housing projects, green spaces, bicycle lanes and businesses,” states the city’s resilience strategy. Austin has been working on their smart grid since 2003. Austin was one of the earliest adopters of the smart grid, an electrical grid that uses communication technologies that allow the grid to respond digitally to our quickly changing electric demand. Individual construction projects can also be more resilient. Retrofits are underway in aging rental towers across the Greater Toronto and Hamilton Area. 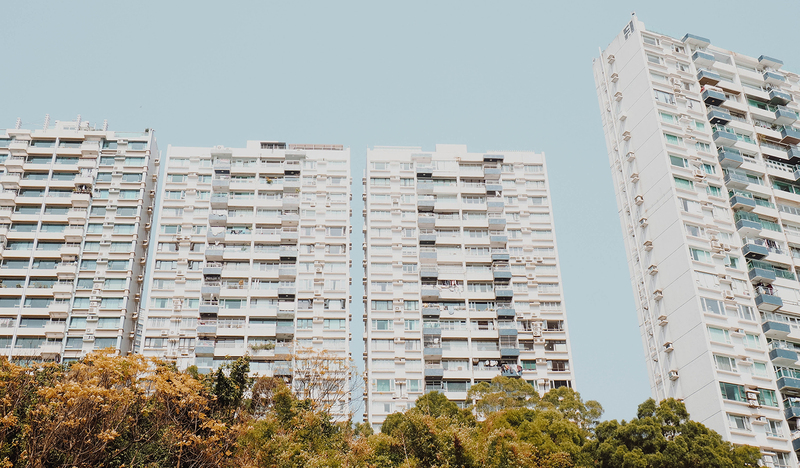 These post-war residential towers, of which there are nearly 2,000 in the GTHA, are among the most carbon-intensive housing types in Canadian cities. The Tower Renewal Partnership is working to enable region-wide deep retrofits which can reduce the environmental impact of these towers by up to 90%, while dramatically improving housing quality and comfort. There are thousands of ways cities around the world are becoming more resilient. What is your city doing?